A number of nursing homes in Cardiff could be forced to close because of new UK Government rules, a social care chief has warned. The controversial legislation will force non-European workers to return home if they are not earning at least £35,000 after six years – and that will include well-qualified nurses working in social care. According to Care Forum Wales, the body that represents the independent social care sector in Wales, it will lead to the loss of nursing home beds at a time when they are needed more than ever and could force some homes to close completely because of a shortage of trained staff. Mario Kreft MBE, the Chair of Care Forum Wales, said: “Essentially, the Government will end up getting rid of well-qualified staff doing a good job and then replacing them with economic migrants without qualifications. “This could very well lead to nursing homes being closed because of a shortage of qualified nurses. “It could also lead to the sector having to pay higher fees for agency nurses and will almost certainly mean some care providers will have to stop offering nursing care. According to Mary Wimbury, the Senior Policy Advisor at Care Forum Wales, the new Home Office rules could push the Welsh care sector, which is already struggling to recruit enough nurses, “over the edge”. At its Bournemouth conference this week the Royal College of Nursing (RCN) highlighted the fact that thousands of foreign nurses working in junior posts in the UK could be forced to return home under new Home Office immigration rules. As part of its effort to control net migration, the Government is imposing a new pay threshold for migrants which means that non-European workers will have to leave the UK after six years if they are not earning at least £35,000. The RCN predicts the rules will “cause chaos” for the health service, waste money spent on recruitment and affect more than 3,300 NHS nurses by 2017. Mary Wimbury estimates the number of nurses affected runs into hundreds who care for thousands of patients. She said: “The new rules will have a disastrous effect on the care sector in Wales, which employs many nurses from non-European countries, few of whom will be earning anything like the £35,000 threshold. “The actual figure of those involved runs into hundreds of nurses who in turn care for many thousands of patients across Wales. “Due to a reduction in the number of nurses being trained and an increase in numbers leaving the profession we already have a significant issue in terms of recruiting nurses to the care sector in Wales and this will only makes things worse. “In short, it will mean that there won’t be enough nurses to go round. “The forum has learned of a case where an agency supplying nurses from outside Europe has told the care sector that it can no longer get them any from abroad because their capacity has been taken up by the health boards. 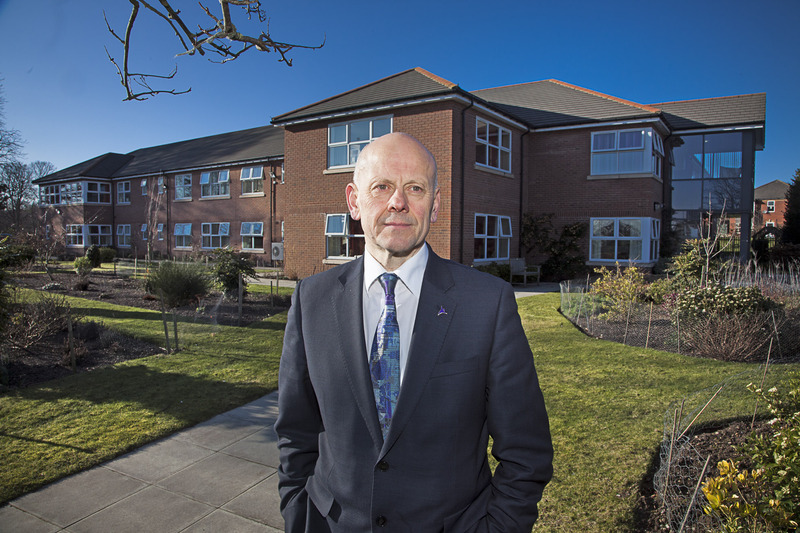 “The care sector in Wales is already poised close to the edge in terms of recruitment and therefore being able to ensure the safety of residents and now it’s going to be pushed over the edge. “I don’t know from where providers are going to be able to recruit sufficient staff to keep on providing nursing care. “There aren’t going to be enough staff – even with agency nurses – to go round and this will pass the burden of care back on to the NHS which is also already suffering from a shortage of nurses. “We agree with the RCN that the new policy will lead to a waste in terms of the money spent on recruitment because if nurses find they cannot stay in this country as a result of not reaching the earnings threshold then someone else will have to be found to take over their job. Mr Kreft added: “We have already seen the effect these tighter immigration rules based on salary have had on recruiting carers from outside the EU. But with nurses the situation is more serious as you can only recruit people with the relevant qualifications to register as nurses and there just aren’t enough to go around. “As part of the Five Nations, which brings together other associations in the sector across the UK, including Care England, the National Care Forum, Scottish Care and Independent Health & Care Providers Northern Ireland, we have been lobbying to have nurses added to the list of reserved occupations which are exempted from these provisions. The Home Office has said the rules will help reduce demand for migrant labour.